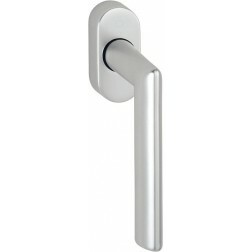 Interior door handle in stainless steel Hoppe Utrecht series on round rose. Available with 3 different roses. Resistant structure to bumps and scratches, with return springs guaranteed to work up to 10 years. 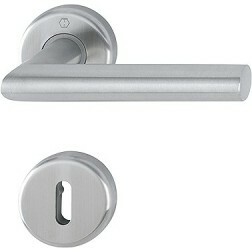 The handles will be mounted in a short time thanks to the introduction of a fast hooking system called "quick-fit connection". 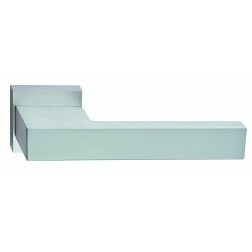 You will receive the couple handles boxed with all accessories annexes for easy and quick assembly. No tools or special skills are needed.